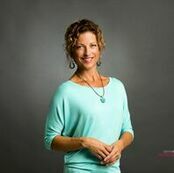 Mindy received her National Certification in Massage Therapy at The Healing Arts Institute in Ft. Collins, Colorado in 1995. Shortly after, she began her practice with focus on deep tissue and Swedish massage, myofascial release, and neuromuscular reeducation techniques. She has practiced in a wide variety of venues and has great experience working with a broad range of clients of all ages, conditions and lifestyles. Mindy’s sincere compassion and interest in her client's physical, emotional and spiritual well being is a foundation of her bodywork practice. She begins each session with intention to hear and understand each individual’s personal bodywork goals. Throughout the session she is mindful and attentive to her client’s level of comfort. She is passionate about using her skills and experience to help others in recovery, restoration, healing and balance. In addition to practicing massage therapy, Mindy enjoys being an outdoor enthusiast, artist, and athlete. Through her continued education, physical activities, creative endeavors and life experiences, she has gained unique curiosity and valuable insight into how the body and mind interplay. She adores being the mother of two active teenagers, and is rarely seen without her paddleboards and her trusty K9 sidekick, Frankie.